Embr Wave looks like a watch, or an activity monitor – but it’s not. It does not have step tracking, and it won’t give you notifications from your phone. It can connect to an app on your phone, but for one reason alone. 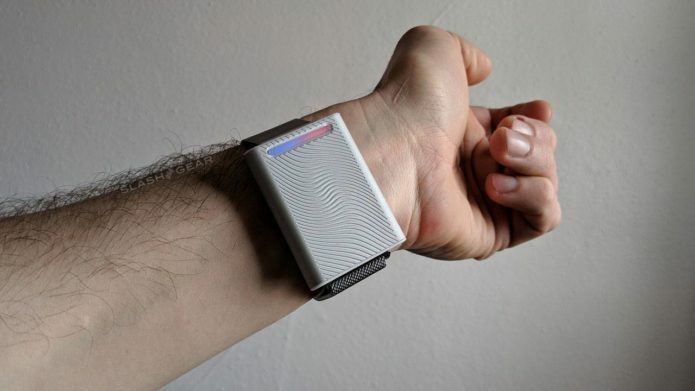 This device can make your wrist warm, or it can make your wrist cold, and that’s it. This device will cost you $300 USD. If you’ve got three hundred dollars burning a hole in your pocket, maybe you’d like instead to have that cash cool down your brain? That’s the intent of the Embr Wave. This device is meant to be a personal thermostat.